By Christie Lagally, Special to the Richmond News November 3, 2010. See original Richmond News article. Puppy is not your typical household pet. He lives at the Reptile Rescue, Adoption and Education Society in Richmond where he frequently has the run of the place. While Puppy saunters past ball pythons, bearded dragons, red-eared turtles and iguanas — all of which have been surrendered to the rescue society by their past owners — Puppy doesn’t appear to alarm any of them. All the reptile residents seem to know Puppy is one of their own, because Puppy is a large African Spurred tortoise. The Reptile Rescue, Adoption and Education Society was founded by Val Lofvendahl in 2003. She was the proud owner of an iguana many years ago, when she found that the advice from the pet store about caring for her iguana was just wrong, and the iguana suffered as a result. She vowed then that she would work to help homeless and sick reptile pets recover from poor conditions and find them new homes. I visited the society’s rescue facility this summer with absolutely no knowledge of reptiles, and I was shocked to see how many homeless reptiles there are in Richmond alone. “Very few were purchased from breeders; most were impulse buys from pet stores where the customers were poorly educated,” says Lofvendahl. 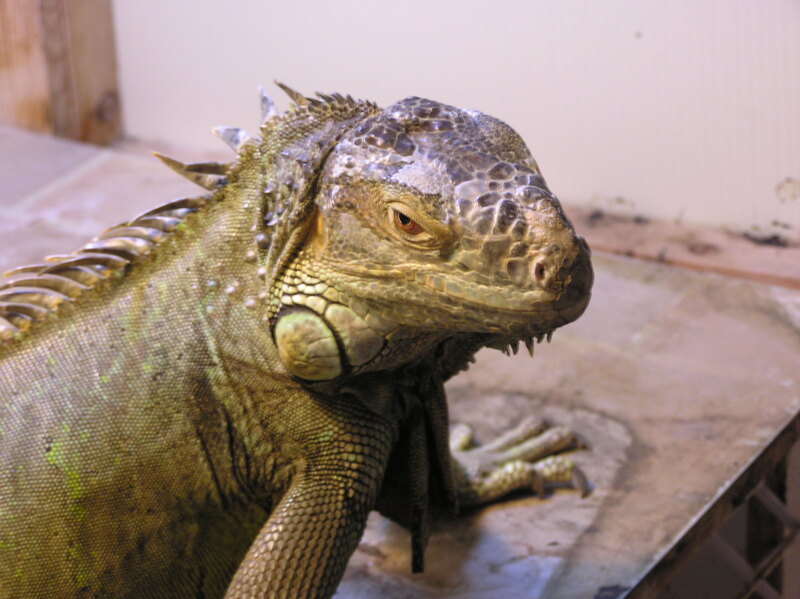 In fact, the Reptile Rescue is the only such rescue in Richmond, and one of only a handful of such rescues in the Lower Mainland. Most abandoned or surrendered pet iguanas, geckos, corn snakes, slider turtles, pythons and lizards will typically end up at this rescue facility because most shelters don’t have the expertise to care for these unique creatures. Since 2003, more than 400 reptiles and amphibians have been taken in by the society, and there are usually about 50 in care at all times. 2010 has been a record year of intakes. Lofvendahl introduced me to the animals that she cares for daily. As I walked in the door, a very friendly iguana named George greeted me with dignified attention and regard. I felt honoured to be in his presence. As Lofvendahl showed me into George’s living area, she quickly stroked his back and he closed his eyes in what appeared to be utter contentment. I got the feeling that if George had been a cat, he would have been purring. I was also introduced to some snakes that were abandoned in a drug house after the police had raided the home. While red-eared turtles were banned from sale in Richmond’s pet stores a few years ago, a few still show up in rescues when people tire of them. 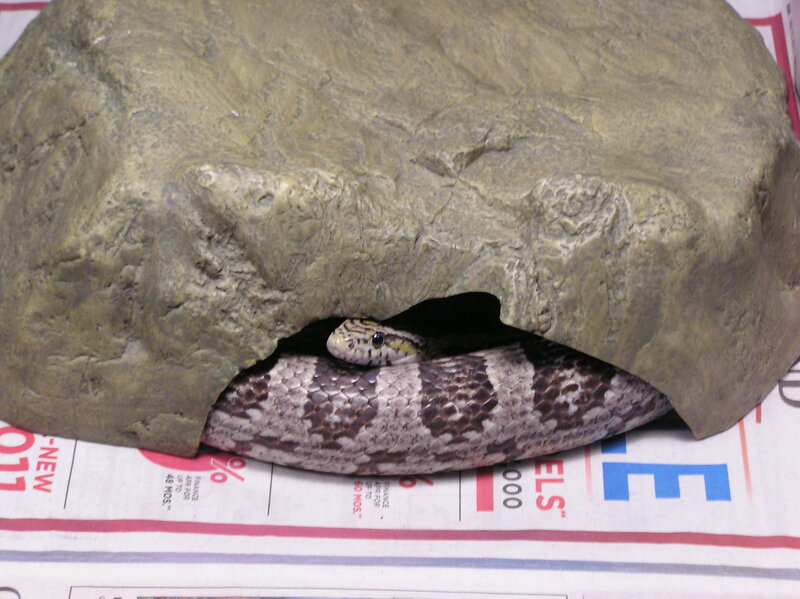 According to Lofvendahl, ball pythons are the most common snake being given up, and iguanas and bearded dragons are the most popular lizards being neglected. I was also stunned to learn that some of the turtles, like Puppy, live up to 100 years and are sold to people who think a tortoise will be easier to care for than a dog. While Puppy is a spritely seven year old tortoise, I met one of Puppy’s younger counterparts, Chuckles, who was just 1-1/2 years old. Chuckles was sold to someone who had no idea that the tortoise would outlive his caretaker and end up in a shelter eventually. 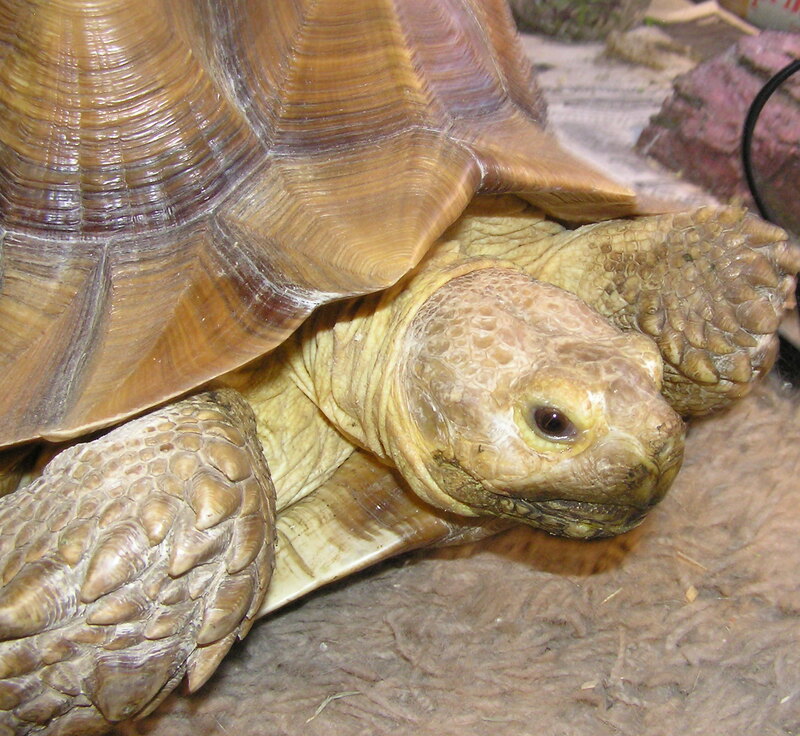 While Lofvendahl works diligently to find permanent homes for all the reptiles, tortoises like Puppy and Chuckles are better suited for life in an appropriate sanctuary. The adoptable reptiles are listed on the society’s website at www.reptilerescuerichmond.org. Like any rescue group, you fill out an application to ensure that you can offer a safe and permanent home for these creatures. Donations are always needed to help care for these precious reptiles, and you can save your Canadian Tire money to help the Society purchase light bulbs and supplies as well as a generator. They also welcome gift cards to Superstore to buy vegetables for the lizards — one of the largest expenses at about $70 per week. But most of all, you can pledge to never buy an animal from a pet store. There are so many homeless reptiles right here in Richmond that it will be decades before responsible reptile-loving residents have any trouble finding just the right new family member.